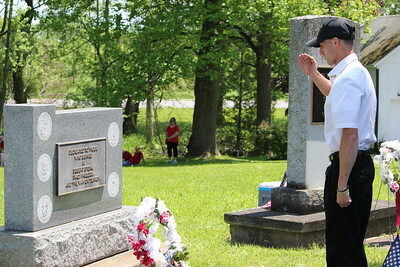 Charles Pritchard - Oneida Daily Dispatch Matthew Stamp, National Guard Sgt. 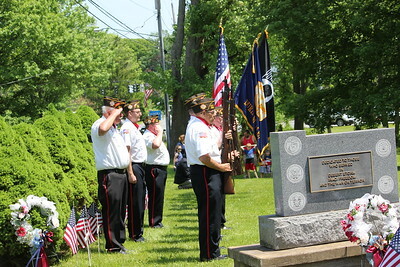 and member of the Verona VFW Post 6811, presents the wreath to those who served in Desert Storm, Operation Iraqi Freedom and The War on Terror on Monday, May 28, 2018. 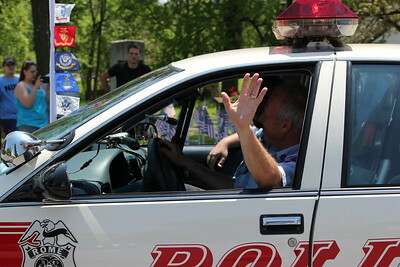 Charles Pritchard - Oneida Daily Dispatch Officers of the Rome Police Department wave to passers at Verona's Memorial Day parade on Monday, May 28, 2018. 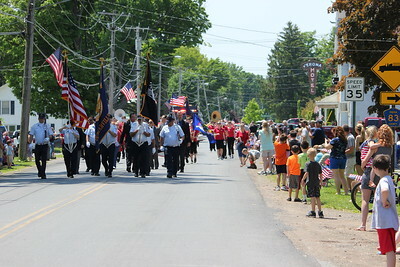 Charles Pritchard - Oneida Daily Dispatch Residents of Verona remember the fallen on Memorial Day on Monday, May 28, 2018. 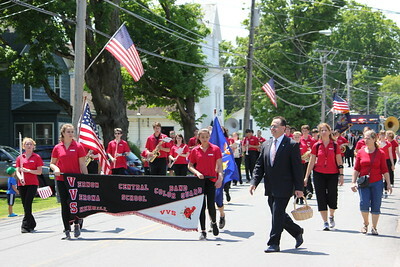 Charles Pritchard - Oneida Daily Dispatch The Vernon-Verona-Sherrill Color Guard Band marches in the Verona Memorial Day Parade on Monday, May 28, 2018. 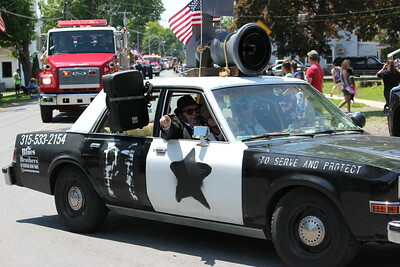 Charles Pritchard - Oneida Daily Dispatch The Blues Brothers of Central New York sings on the road during Verona's Memorial Day parade on Monday, May 28, 2018. 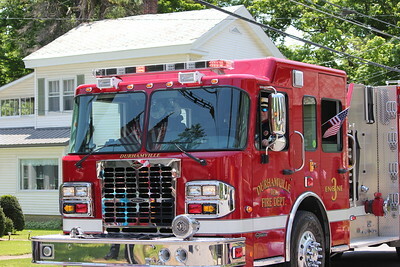 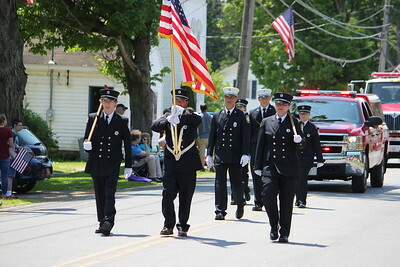 Charles Pritchard - Oneida Daily Dispatch The Durhamville Fire Department drives engine 3 through Verona during Verona's Memorial Day parade on Monday, May 28, 2018. 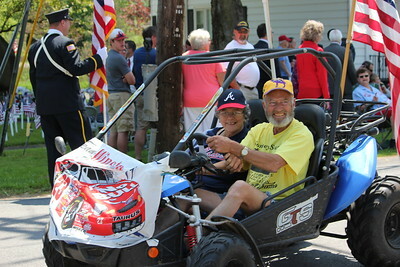 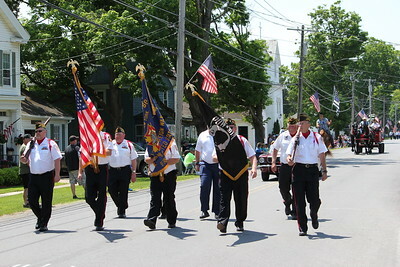 Charles Pritchard - Oneida Daily Dispatch The Verona Fie Department in the Verona Memorial Day Parade on Monday, May 28, 2018. 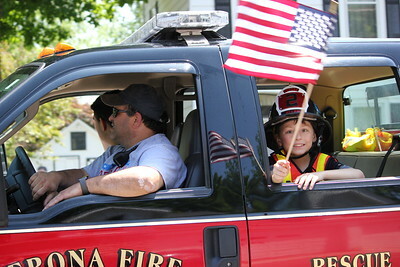 Charles Pritchard - Oneida Daily Dispatch Fifth-grader Camryn Klepadlo of J.D. 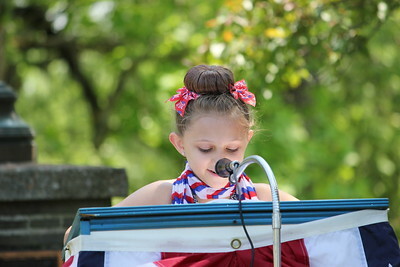 George Elementary reads her essay, placing third in the school, about what Memorial Day means to her and her family on Monday, May 28, 2018. 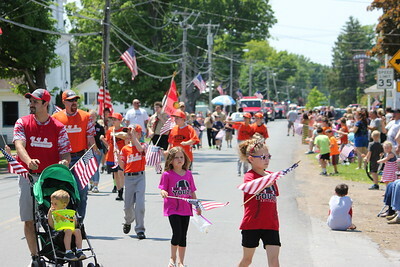 Charles Pritchard - Oneida Daily Dispatch Fifth-grader Natalie Herzog of J.D. 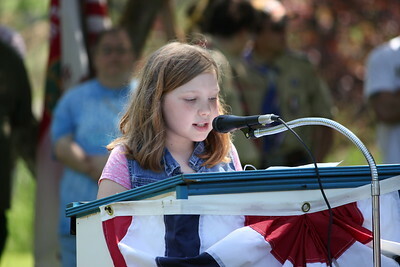 George Elementary reads her essay, placing second in the school, about what Memorial Day means to her and her family on Monday, May 28, 2018. 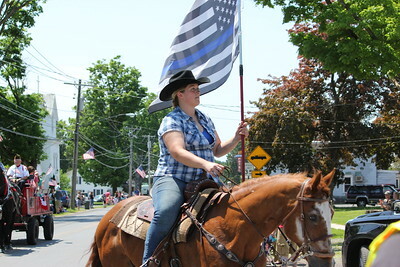 Charles Pritchard - Oneida Daily Dispatch Fifth-grader Isabella Libby of J.D. 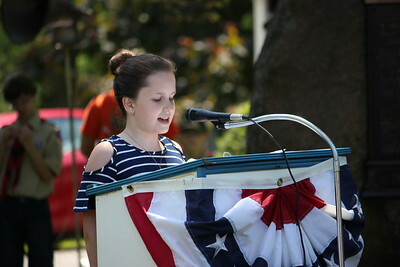 George Elementary reads her essay, placing third in the school, about what Memorial Day means to her and her family on Monday, May 28, 2018. 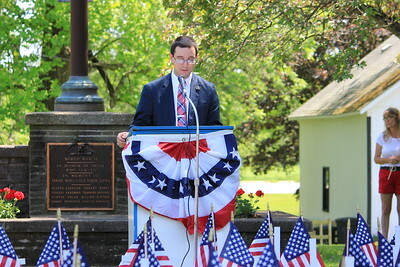 Charles Pritchard - Oneida Daily Dispatch Guest speaker Samuel Getman speaks at Verona's Memorial Day ceremony on Monday, May 28, 2018.